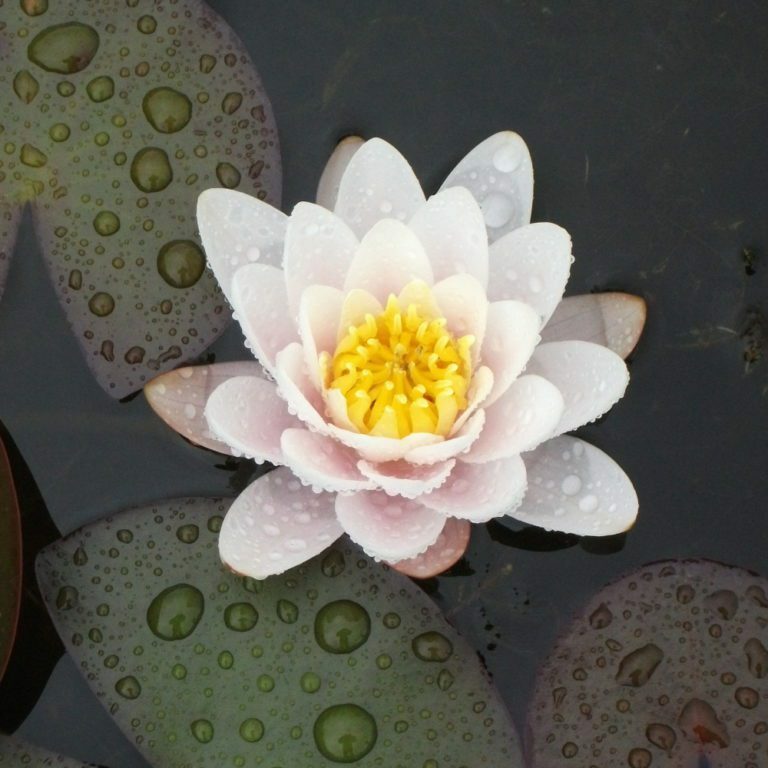 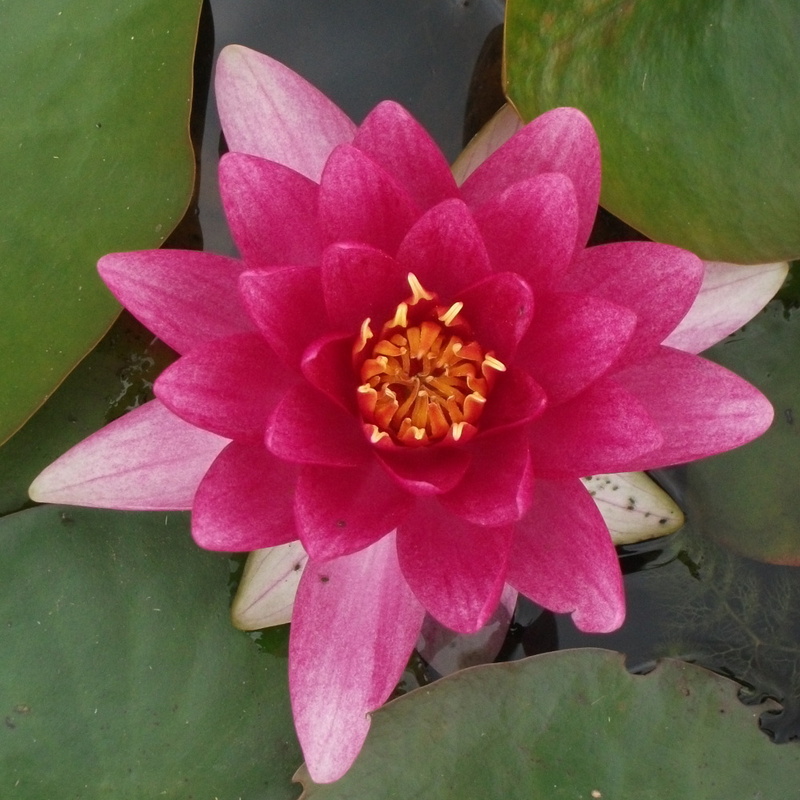 The Conqueror Water Lily (Nymphaea Conqueror) has large, red, stellate flowers which measure 7-8in (18-20 cm) across, with bright orange stamens, and white outer petals. 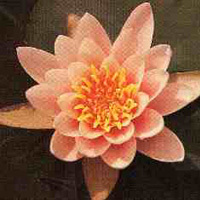 The large, almost round, deep green leaves have a wide open V shaped sinus and when young they are slightly bronze in colour. 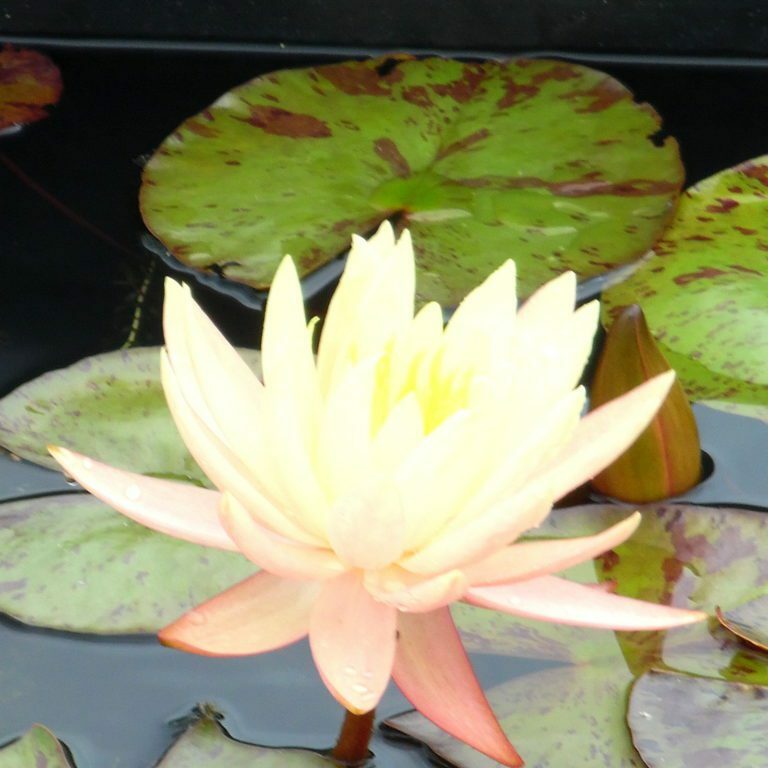 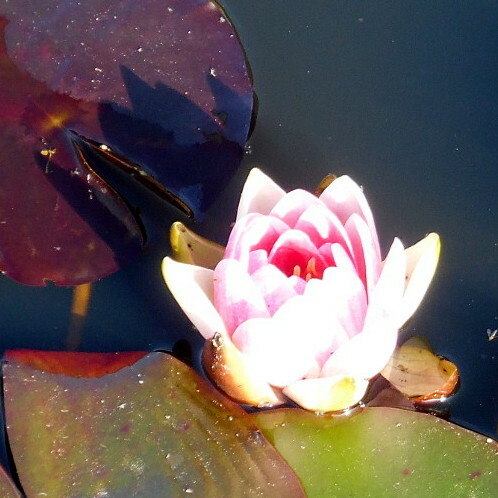 It is a vigorous water lily with floating leaves nearly a foot across hence we would recommend it for large pools.